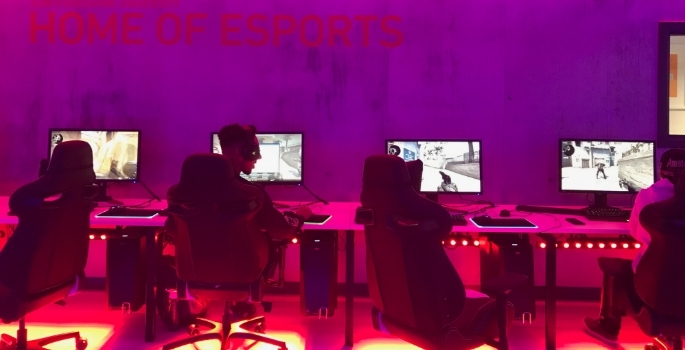 Staffordshire University is launching the UK’s first esports degree in September, with prospective students getting a first glimpse of the custom-built facility during a recent open day. The hub features state-of-the-art technology and will allow students to host and broadcast live esports events. Kit includes 12 gaming workstations with Razer mice and headphones, broadcast cameras and a broadcast gallery, specialist lighting, a studio area for three presenters and two shoutcasters, plus spectator seating. Course lecturer, Stuart Kosters, explained: “The hub will be a place where students can learn in a real-life setting and understand what goes on behind-the-scenes of a major esports event. The course focuses on the business of esports, with students able to undertake a number of exciting placements with companies including Red Bull and at national gaming events like Insomnia. The presenter told students to "go forth and be fabulous"